I recently bought a Dymo LabelWriter 450 Twin Turbo and was having trouble using non-genuine labels with it. Turns out: There’s a US and an international version of the Dymo LabelWriters, and the labels aren’t compatible across the two! Read on to see about my adventure…. 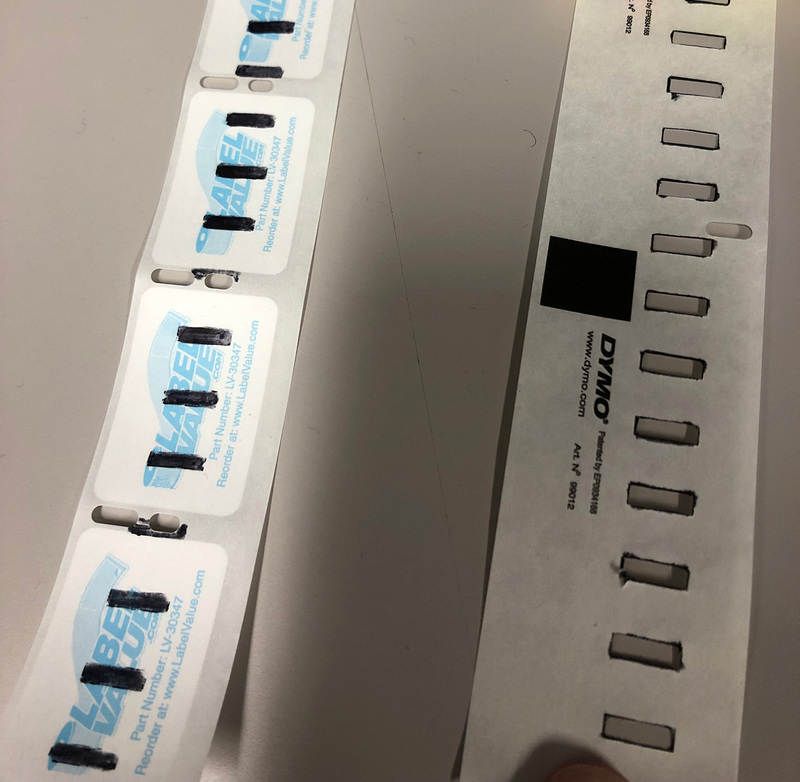 The International version of the labels for the Dymo LabelWriters have little markers on the back that are read by the printer to determine start/end points of the labels. If you buy non-genuine labels, they will work fine in US labelmakers, but won’t work on the international versions due to not having the marks on the back. So I figured I’ll just import them from the US, I found a seller on ebay who will ship internationally and selling labelvalue labels, ordered 10 rolls (7500 labels) and called it a day. Fast forward to when the labels arrive, they seemed like pretty decent quality, loaded them up into the LabelWriter 450 Twin Turbo (go big or go home right?) and hit print. One label came out then it complained about being out of labels, the blue light flashed and that was all I could get out of it. I’ve got 7500 labels that I can’t use because the Dymo have region locked their labels. Thankfully there’s an Australian size that will work for what we want to do (it’s not ideal, but will have to do). If anyone knows of any tricks or hacks to get around this, please comment! Hopefully this’ll save someone from making the same mistake I did.